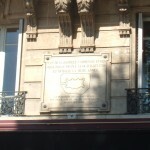 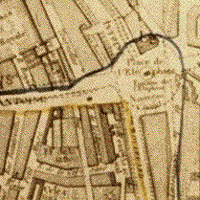 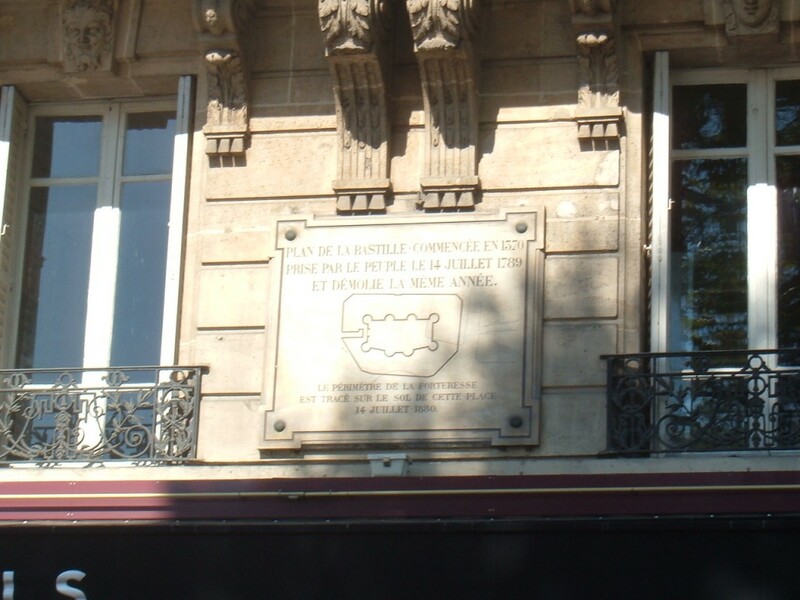 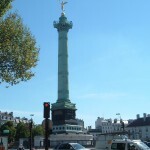 Notes: The former site of the infamous Bastille fortress was commandeered by Napoléon Bonaparte to house an enormous elephant statue as a monument to imperial glory. 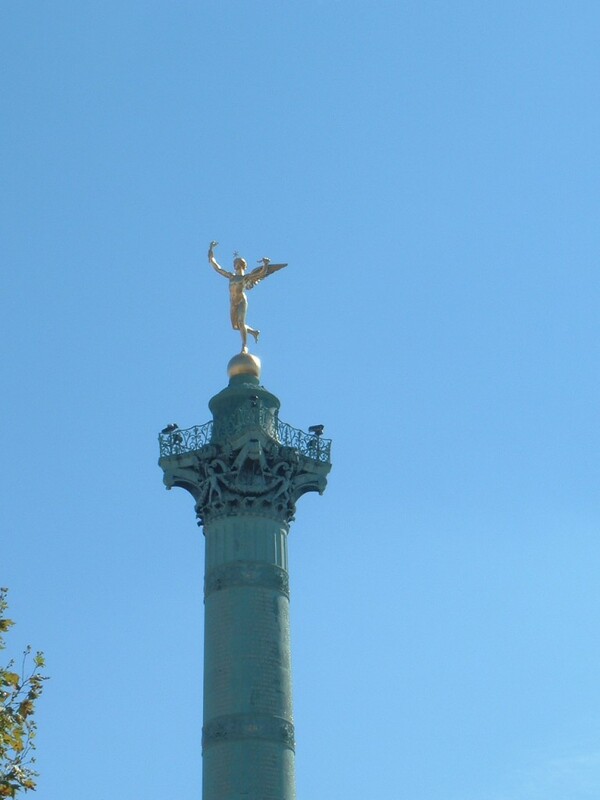 The elephant remained half-finished after his fall, gradually falling into further and further disrepair, until Louis-Philippe decided in the 1830s to replace it with the July Column, a monument to the revolution that put him on the throne. 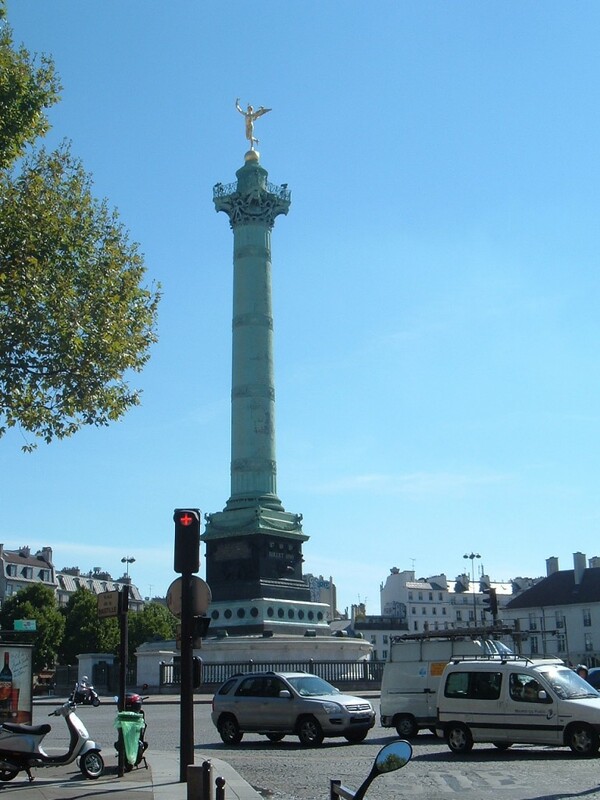 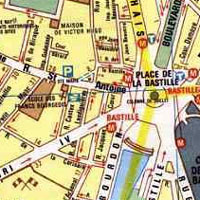 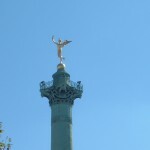 The Place de la Bastille is at the end of the Marais walk, if you’re interested in exploring nearby locations. 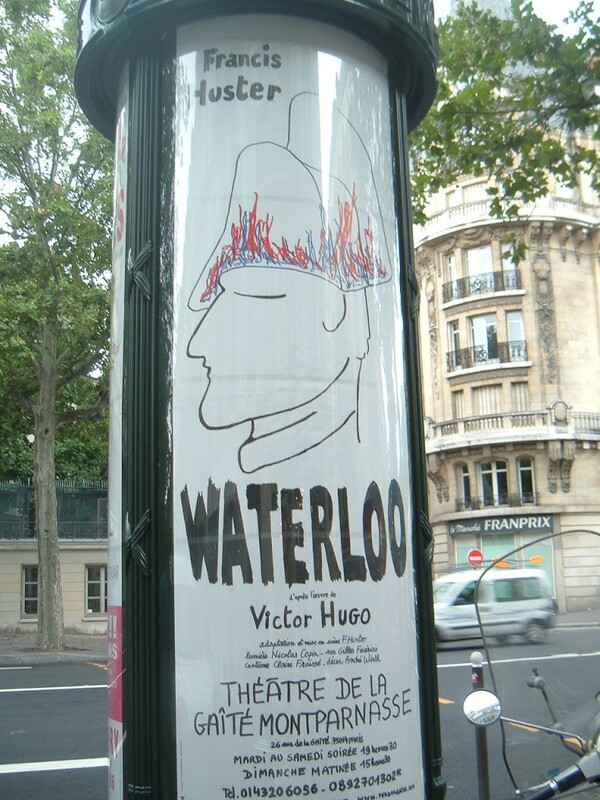 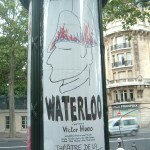 Found in the Place de la Bastille, of all places: poster for a theatrical adaptation of the Waterloo section of Les Mis.